Lights Out is an electronic game, released by Tiger Toys in 1995. 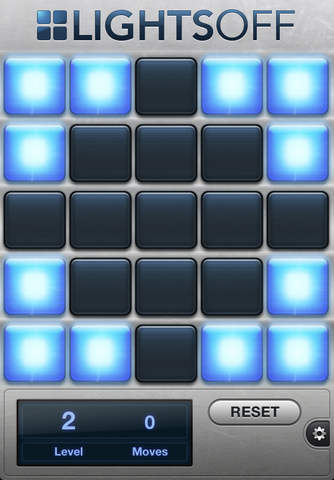 The game consists of a 5 by 5 grid of lights. When the game starts, a random number or a stored pattern of these lights is switched on. Pressing any of the lights will toggle it and the four adjacent lights. The goal of the puzzle is to switch all the lights off, preferably in as few button presses as possible. If a light is on, it must be toggled an odd number of times to be turned off. If a light is off, it must be toggled an even number of times (including none at all) for it to remain off. Several conclusion are used for the game's strategy. Firstly, the order in which the lights are pressed does not matter, as the result will be the same. Secondly, in a minimal solution, each light needs to be pressed no more than once, because pressing a light twice is equivalent to not pressing it at all.